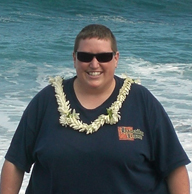 Rebecca Ka’awela Manandic was born and raised on the island of Oahu. After having moved to the Merced area in 1974, she began a small Polynesian dance troupe, Ke Anuenue (Hawaiian: “The Rainbow), which was the first such group in the Central Valley. I have been involved with Aunty Becky and the Kiki Raina Tahiti Fete since its inception in 1979. At the age of 9, I was one of its earliest competitors. With over 35 years of dance experience, I have learned so much valuable knowledge of the Polynesian culture. As a native Hawaiian, I have embraced not only my heritage but opened my heart to all of the Pacific islands and what they offer. So far, it has been an amazing journey. I am so happy to be a part of this “open arms” Polynesian Community. Eric is a graduate student in the Department of Folklore and Ethnomusicology at Indiana University, Bloomington. He is the recipient of the Graduate Scholars Fellowship. His interests include Latino folk belief and foodways as well as the depiction of Latinos in the media. Currently, his work focuses on the dance and culture of Tahiti and how it manifests itself in festivals. Running the first aid booth for the past 11 years is but one of the many ways in which Aunty Patty contributes to the Kiki Raina Tahiti Fete. A talented musician, she has been one of our house drummers for six years, and she is one of our fete vendors, owning and operating Haole Style Okole Resters. In addition, she makes a "mean" pot of chicken long rice soup. Joanna has been a Maeva Merced Pageant coordinator since 2007. Although much of her work is done behind the scenes, she is the one you will see managing contestants on stage. She has over twenty years of experience in Polynesian dance and plays a key role in updating our social media sites, creating many of our brochures, tickets and fliers for events and fundraisers.